Don't waste another moment suffering in the heat or cold when you choose Gates Air Conditioning, Inc., for HVAC repair and installation services. Make sure that your air conditioning and heating unit stays in great working condition during every season with our worry-free HVAC maintenance. 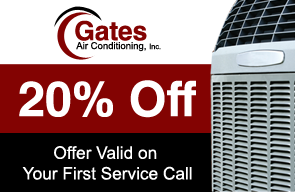 Stay comfortable all year long with HVAC services provided by Gates Air Conditioning, Inc., of Dallas, Texas. We provide installations, repairs, and maintenance for both commercial and residential clients. With more than 50 years of experience in the industry we specialize in servicing computer or data rooms and residential. Learn More about Gates Air Conditioning, Inc.
about our HVAC services and how we can keep your air conditioner working.